Can you identify which leveling product in this image is the premium product? Our guess is that you’ll find it quite easy to figure out. 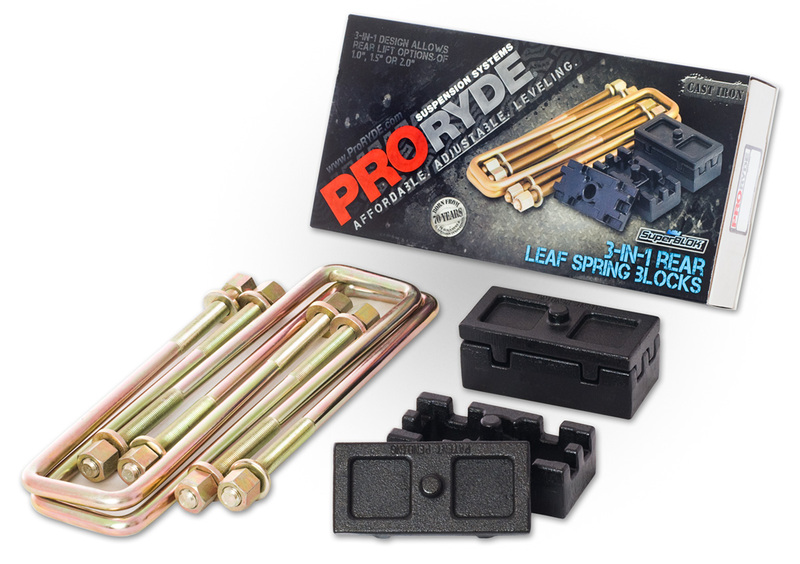 While most leveling kits are of a “fixed” nature, meaning, not adjustable to a variety of ride heights, there is one brand that clearly stands out against the rest. 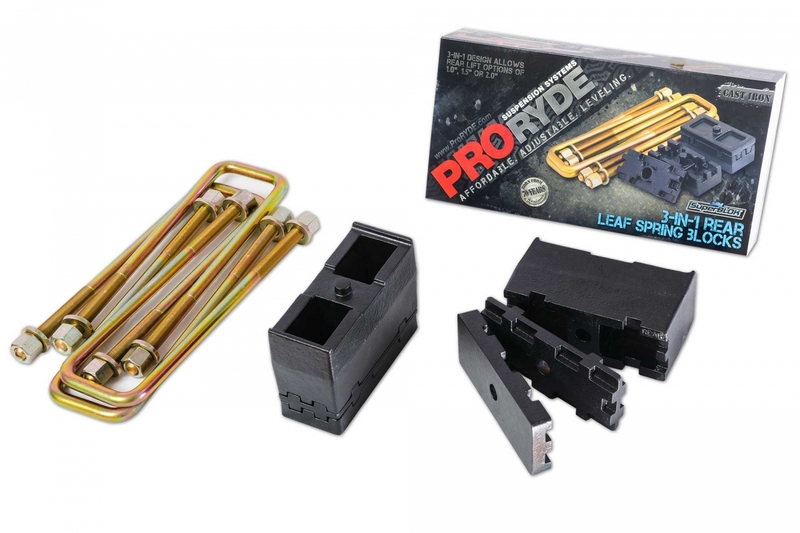 ProRYDE moderate lift and leveling kits are not only designed to allow a plurality of patented ride height options, they are also made from forged & machined steel. So, if you believe a product cut from a simple steel stamping, with simple welds, or a product made from polyurethane, is of the same caliber as the item you’ve identified in this photo as the “premium” product, we beg to differ with you. 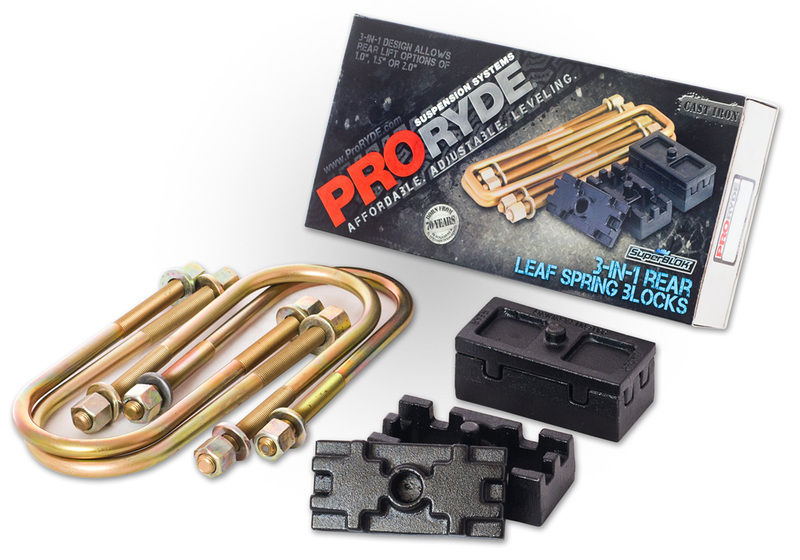 Check it out, and see what a few extra bucks translates to in quality, and in function. When it comes to doing the job right, it is our stance that YOU GET WHAT YOU PAY FOR.